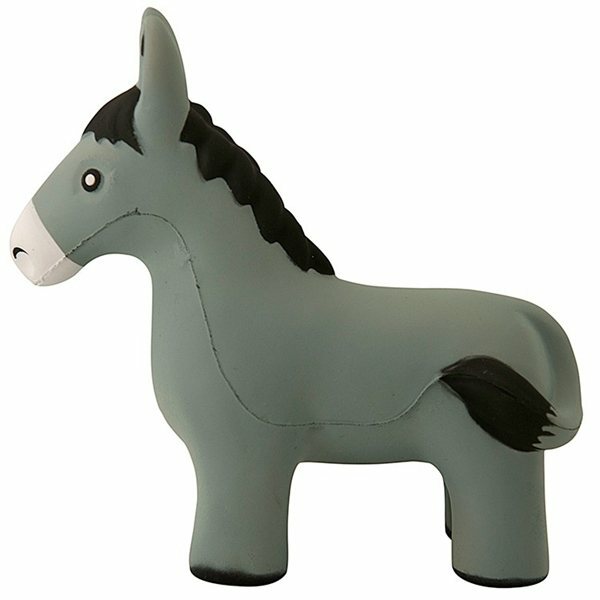 The donkey shaped animal stress reliever is a fun and unique to promote your company. This high quality donkey stress reliever will help customers and clients have fun and relieve stress. Great for any business or political campaigns! Be sure to order plenty! good value the products were as good as the company had claimed. We'll certainly be ordering more later on! The feedback from employees continues to be excellent! And in reality, their opinion is the only one that matters. I am happy with the color and the style of the product. I have been very satisfied with your services. We thought the logo looked amazing and I was very pleased with the fast turn around time it took to get the items. I'm impressed that the quality is as nice as it was.